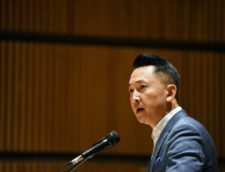 The John Simon Guggenheim Memorial Foundation has awarded Viet Thanh Nguyen with a 2017 Guggenheim Fellowship in the field of Fiction. Guggenheim Fellowships are intended for individuals who have already demonstrated exceptional capacity for productive scholarship or exceptional creative ability in the arts. The following article was originally published by Susan Bell and Ian Geckler of USC News. 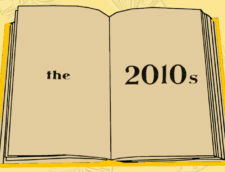 Nguyen has racked up a raft of honors since the publication of his debut novel The Sympathizer (Grove Press, 2015), a New York Times best-seller. The book, which presents the Vietnam War from multiple perspectives, won the 2016 Pulitzer Prize for Fiction. Nguyen is currently working on a second novel, The Committed, which he says will be the sequel to The Sympathizer. Nguyen’s nonfiction book, Nothing Ever Dies: Vietnam and the Memory of War (Harvard University Press, 2016), was a finalist for the 2016 National Book Awards in nonfiction and the National Book Critics Circle Award in nonfiction. Earlier this year he published a collection of short stories, The Refugees (Grove Press). 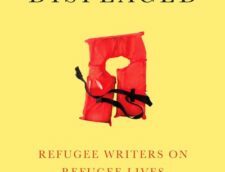 As well as writing The Committed, Nguyen is now editing a collection of essays by refugee writers, to be published by Abrams Press in 2018. “Given the renewed urgency of the refugee situation, with the United Nations finding that there are about 65 million stateless people in the world, [Abrams Press] editor Jamison Stoltz and I felt that it was timely to bring together writers who are refugees and who talk about refugees,” Nguyen said. United States Senator Simon Guggenheim and his wife established the John Simon Guggenheim Memorial Foundation in 1925 as a memorial to a son who died April 26, 1922. The Foundation offers Fellowships to further the development of scholars and artists by assisting them to engage in research in any field of knowledge and creation in any of the arts, under the freest possible conditions and irrespective of race, color, or creed. The Foundation receives approximately 3,000 applications and awards 175 Fellowships each year.